Do You Know What Bloggers Need To Know? What bloggers need to know is that blogs need to be found by an interested audience, and then share expertise offering solutions and ideas in what that audience wants to know more about. You as a blogger, business or otherwise, want to attract a large and dedicated audience that can respond to you immediately. Then you need to share what will help solve their problem they need you for. 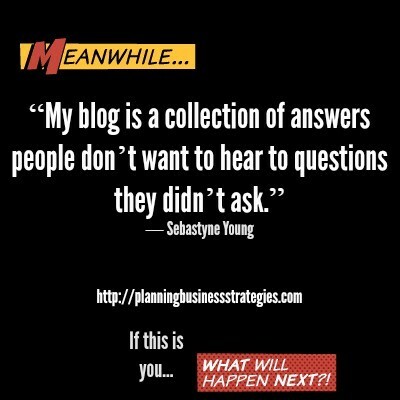 ==> You’re blog is you sharing your thoughts, expertise, and creativity. So what other reason would your blog be significant on the web and be found by your readers? Writing great blog headlines can be difficult, which is why many bloggers simply don’t bother to do it. However, if you’re willing to learn how to get better at it, you’ll be surprised by how much a good headline can improve your results. So what’s the secret to writing good headlines? It’s a combination of things. But most importantly, it involves thinking like a copywriter. This means that you must understand your audience, think like them, and then make a conscious effort to persuade them using every strategy available to copywriters. Your blog post may provide very large benefits to your readers. Example: It might tell them how to use a new Internet marketing technique that is not explained well elsewhere. However, if you do not communicate this information to your viewers, then they won’t see the benefit and won’t bother to read your entry. For all readers, this is a simple and tangible benefit and if this is something they want, then there’s a good chance they’ll read the entry. There is the old saying that ‘content is king’ – and one of your small business strategies better be to learn what this means! Another strategy you can use to improve your blog headlines is to arouse curiosity. You’ll make it difficult for the reader to leave without having first satisfied that curiosity by at least skimming your entry. If you’ve ever read a guide on copywriting, you’ve probably noticed that the term “trigger word” is thrown around quite frequently. If you’re not familiar with the term, it refers to any word or phrase that triggers a psychological response on the reader’s part. Sometimes these are called ‘power words’. These are very useful, as they can compel people to take action and make decisions when an alternate choice of words would not. These types of methods will help your blogging content efforts stay fresh and interesting.